Obituary for Clarence Wayne Logan | McCoy-Moore Funeral Home Inc.
Clarence “Wayne” Logan, 60, Columbus, Ohio was born to the late George W. and Maggie Logan in Vinton County, Ohio August 8, 1957. After a lengthy illness, God called Wayne, as he was affectionately known, home Wednesday, June 13, 2018. Wayne was the youngest of 18 children. He was educated in the Vinton County School District. For a while he lived in Chicago, Illinois before moving to Columbus. He worked at CAMACO, teaching Head Start, driving the school bus and various other duties. He was a DJ at some of the local clubs and enjoyed every minute of it. He was a hard worker and believed if you don’t work, you don’t eat. He joined the Mt. Vernon Avenue Baptist Church/Unity Baptist Church and was a faithful member until his passing. Wayne loved the Lord. He belonged to the Men’s Choir and Pastor H.O. Leftridge was his favorite pastor. He and Pastor Leftridge had a long, loving, lasting relationship. He leaves to cherish his memory his caring children: Scott W. Darthard, Brandi Y. Darthard, Daewyne T. Bass, Dejuan L. Knight, Allen C. Barksdale, Desha L. Knight, Ricky J. Darthard, and Dwayne M. Logan Barksdale; his brother, Scott (Cheryl) Logan and sister, Annie Laura Logan; sister-in-law, Neicy Cheatham and a host of grandchildren, nieces, nephews, cousins and other friends and family that will deeply miss Wayne. He also leaves behind very special friends: Mae Logan, Barbara Cochran, HHA and Ellie Kamale, HHNurse. In addition to his parents, Wayne is preceded in death by his brothers; George, James, Otis, John, Joe, Nathaniel and sisters; Betty Yarbough, Mary Collins, Georgia Combs, Brenda Logan, Jessie Rossier, and Emma Spotts. 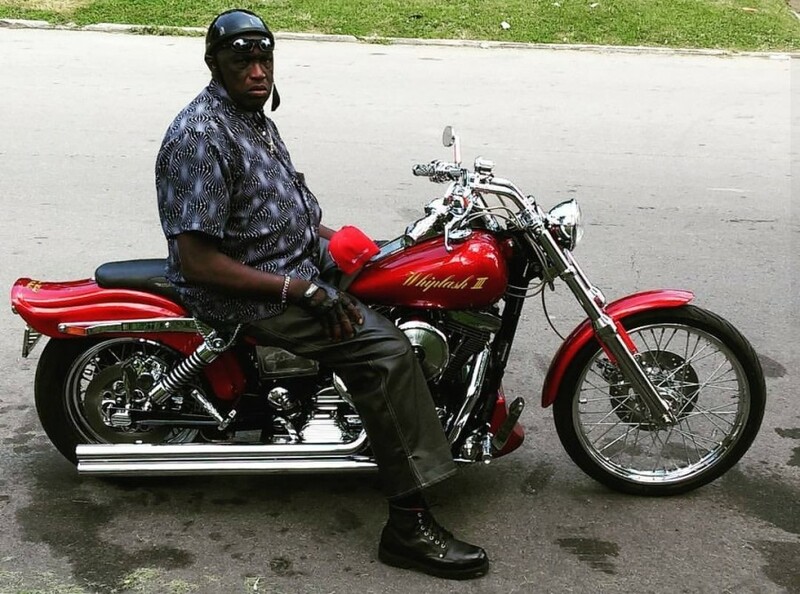 Wayne (AKA Too Sweet) enjoyed riding his motorcycle and belonged to different motorcycle clubs. He has many, many friends both in Columbus and in Vinton County and was well loved by all. A service will be held to honor Wayne's life at Unity Baptist Church, 1358 Mt. Vernon Avenue, Columbus, Ohio 43203 Thursday, June 21, 2018 at 1:00 PM where family will accept friends from noon until time of service. Funeral services will be conducted 12:00 Noon Saturday, June 23, 2018 at the McCoy-Moore Funeral Home, Vinton Chapel, with Rev. Calvin Minnis officiating. Burial will follow in the Morgan Bethel Cemetery, Vinton, Ohio. Family and friends may call at the funeral home Saturday 11:00 AM to 12:00 Noon.